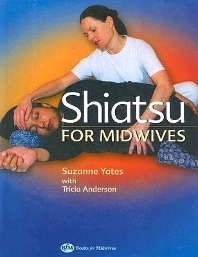 This practical, well-illustrated guide teaches midwives how to incorporate the use of Shiatsu into safe practice and relates the practice of Shiatsu to professional midwifery issues. Clear line drawings and photographs illustrate techniques and are backed up by discussions of actual case studies. Foreword by Tricia Anderson, preface, introduction, Section 1: Professional Issues, Section 2: Yin and Yang - applying eastern theory to midwifery, Section 3: Hands on shiatsu - practical applications, Section 4: How can shiatsu help midwives?, appendices: glossary of Japanese terms, research references, contact lists for training.